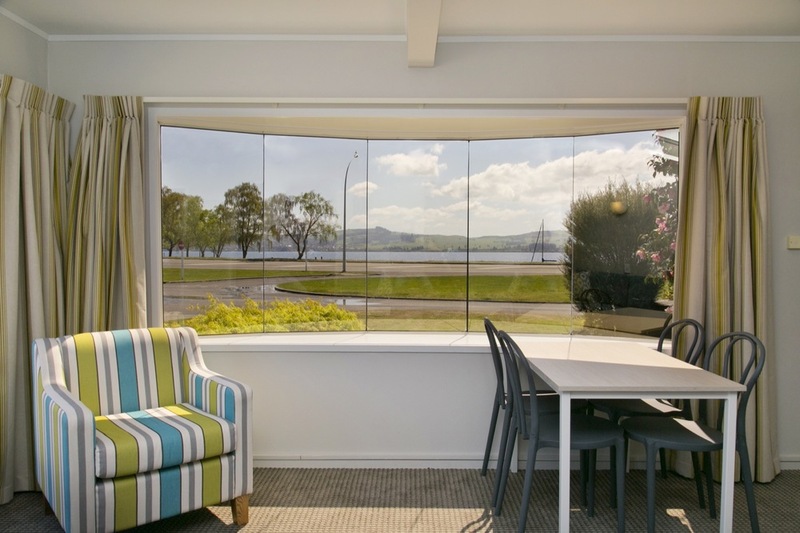 The living area of this two bedroom apartment has large bay windows offering stunning views of Lake Taupo, and opens up on to a deck area with lake views, which in turn leads our pool area with heated pools. The main bedroom has a queen bed and the second bedroom has two single beds, The spacious living area includes a double sofa bed, and dining table, and opens out onto a private deck. 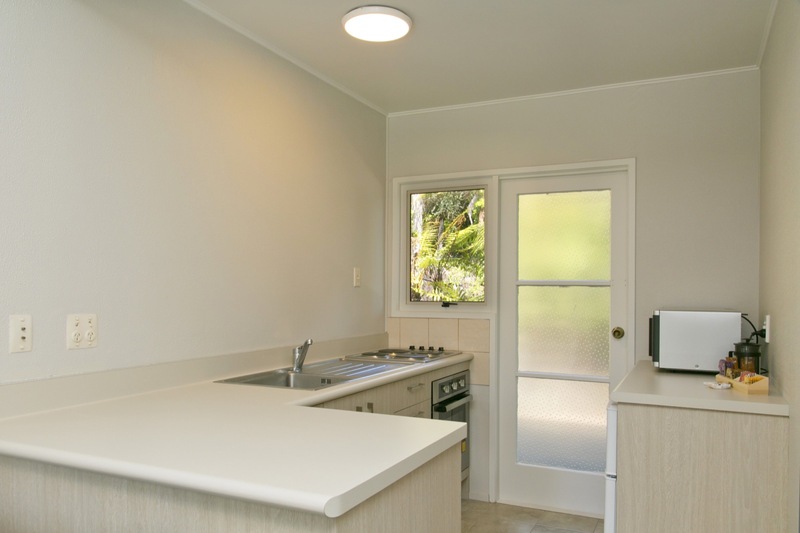 A large, well equipped kitchen with a hob & oven, as well as a microwave, fridge/freezer, toaster, tea & coffee making facilities. 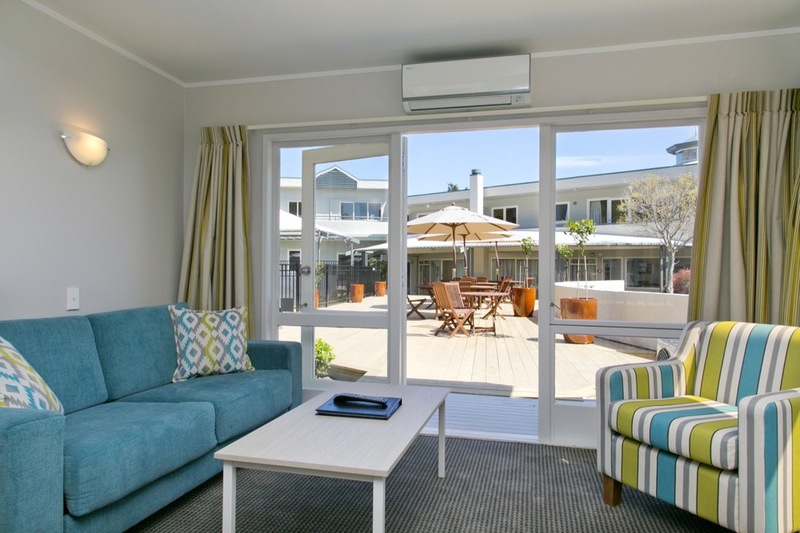 Complimentary unlimited wifi, free off-road car park, air-conditioning/heat pumps, internet connected Smart TV as well as Sky and Freeview. 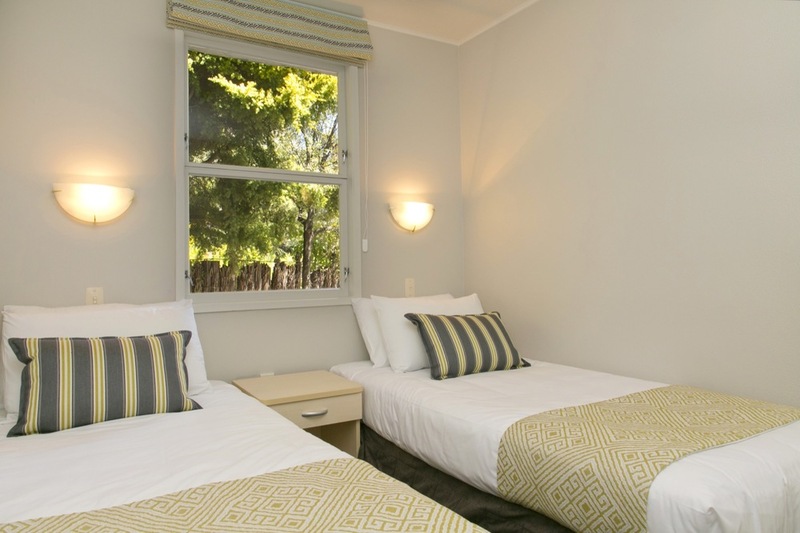 Serviced free-of-charge each day and includes complimentary linen, towels, toiletries and One Fairtrade coffee & tea. Photo Gallery - Click/Tap on a photo to enlarge. 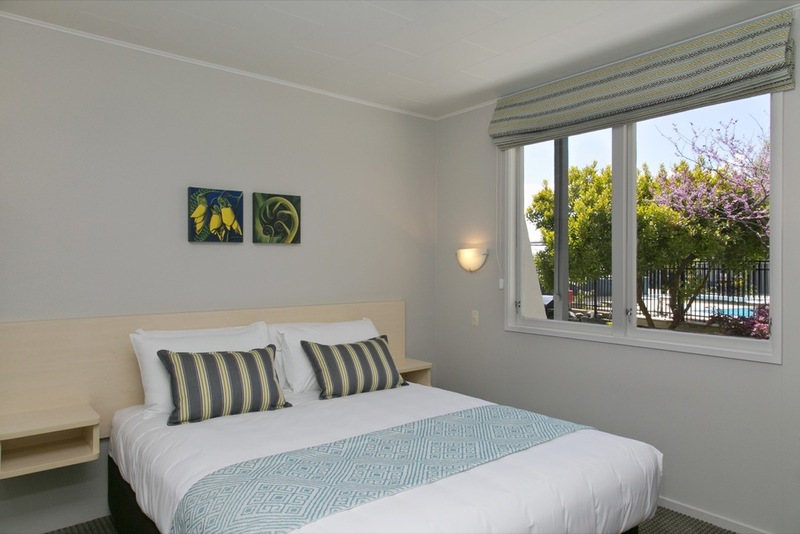 To book or enquire about this room call us on on 0800 991 995 or +64 (7) 378 5542, email info@taupomotel.co.nz, or fill out the contact form, or use the buttons below. 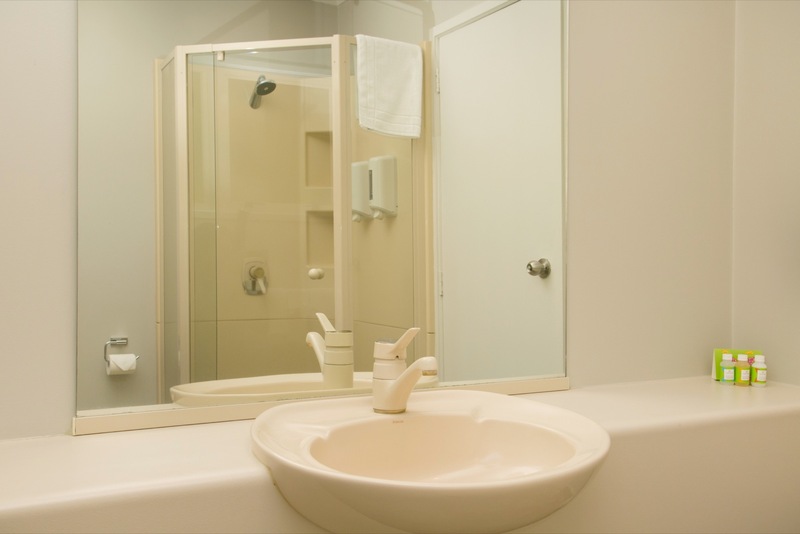 Rates are for up to 2 people. Extra person rate is $35 per night. Children under 2 stay free, porta-cots available. Room sleeps up to 5 people. Reception hours are 7:30am to 9pm on weekdays, 8am to 9pm on weekends. Check in is after 2pm. Late check-in after 9pm by arrangement only, please contact us. Check out is before 10am.